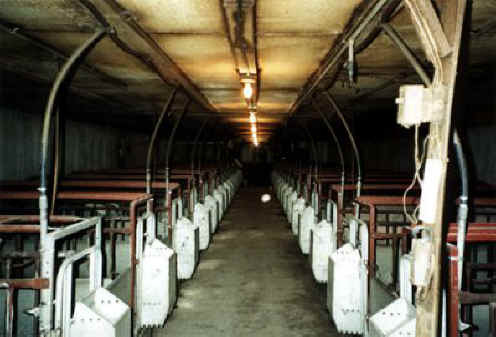 (Pig Exploitation - Farrowing Crates - 03) Every one of the prison cells in this concentration camp is occupied by a pig giving birth or nursing her young. This aberration of God's creation intent has to stop. Every time a person eats ham or pork or bacon, he or she is contributing to the pain and suffering of these pigs.